It was originally built 2,000 years ago in the Qin Dynasty (221-207 BC), and designed to keep out foreign invaders. Today it is arguably the main attraction bringing foreigners into the country. It stretches from Shanhaiguan Pass on the east coast to the Jiayuguan Pass in the Gobi Desert, far to the west, about 7300 kilometers (4300 miles) long. Seen from a distance, the Wall is an awesome spectacle, snaking across the hills of northern China seemingly without end. The sections of the Great Wall near Beijing were mainly constructed during the Ming Dynasty (1368-1644), and are considered the most frequented and best preserved part of the Wall. 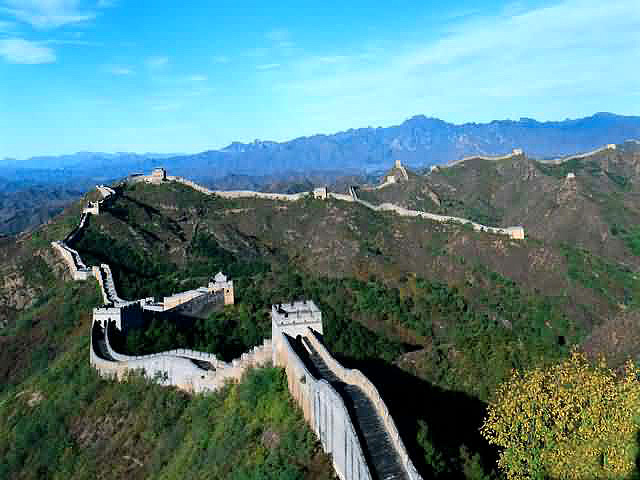 Badaling and Juyong Pass are the most easily accessible parts to view the Great Wall. Both have assembled most-advanced equipments, which offer safety and convenience to the travelers. Badaling Great Wall offers awesome views, but it can also be a bit touristy. Mutianyu is considered as the most beautiful section at Beijng, especially in autumn, which is fruitful and covered with brilliant red leaves. Mutianyu requires a more rigorous climb. Both Mutianyu and Badaling have cable cars to help you reach the top. For hiking lovers or chanllenge seekers, the rugged hiking from Jinshanling to Simatai, about 10 km will be the favorite choice. 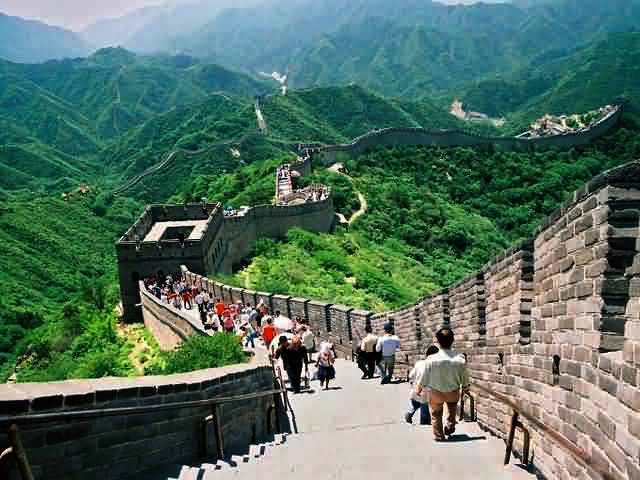 This route is believed to present a truly authentic Great Wall to visitors. The majestic Great wall snakes over the mountaintops. You should not miss the opportunity to explore the Great Wall with your own feet. The Badaling sector of the Great Wall was the first opened to tourists. It is the best preserved and the most magnificent. 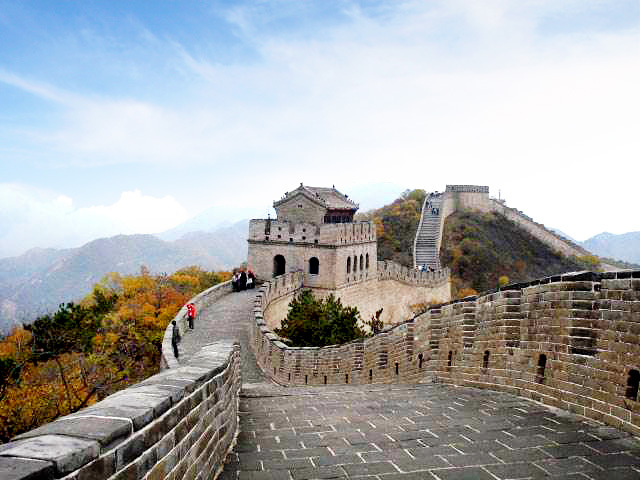 Badaling means "giving access to every direction". The name itself reminds us of its historical and strategic importance. 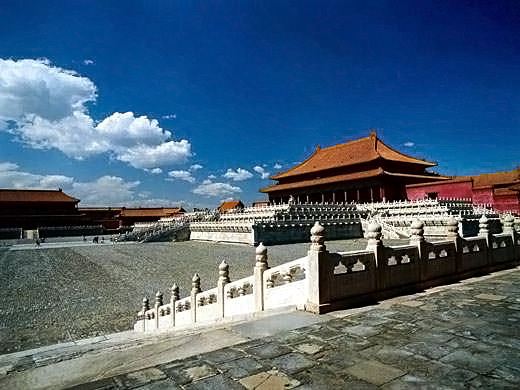 Fully restored in 1957, it can be seen how it looked when it was first built in the Ming dynasty. Because of its popularity it is the easiest to get to and has a lot of modern conveniences for navigating the wall or purchasing souvenirs. Set in a steep, forested mountain range, Badaling offers superb views and for those willing to travel beyond the restored sections, worthwhile hiking. The climb is so demanding, especially in the summer heat, that the crowds thin out after a few hundred meters (unless you take the cable car to the top, which some think spoils the experience). However, the guard towers are uniquely constructed so that the cool mountain breezes naturally air condition the interior. Weary travelers can literally "chill" in the guard towers before continuing along. Most travelers visit this section when they travel Beijing. This is largely because it is well maintained and provides smooth walking, while Mutianyu, Jinshanling, and the vertiginous Simatai require a full day 's outing. At strategic points along the Wall, square shaped beacon towers were constructed at different height. 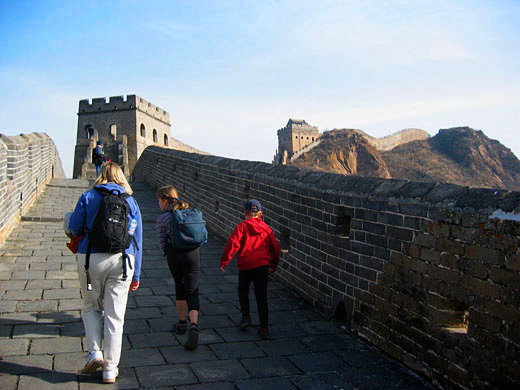 Badaling section is suitable for family tourists, especially with kids or senior members.